So The Legal Genealogist was down in Louisiana this past weekend, speaking at the East Baton Rouge Parish Library. No, that’s not a church library. Anywhere else, it would have been called a county library. But Louisiana doesn’t have counties, it has parishes. So don’t go looking for county records in Louisiana. You look, instead, for parish records. And that’s only part of the problem of dealing with Louisiana research, particularly when it comes to the law. And that civil law has language all its own. For example, you won’t find guardians appointed for children in Louisiana records. Children under the age of 14 got tutors (or tutrixes, if the person appointed was female). Where an older person needed a guardian (such as an insane adult), the person got a curator (or curatrix). It’s usually called a probate in common law jurisdictions, but a succession in the civil law. Where the common law divides property into realty (land) and personalty (everything else), the civil law divides them into immovables and movables. You won’t find a life estate being created in Louisiana land. Instead, it’s called a usufruct. So… where can you turn for help if you run into these words? A couple of places, actually. But there are also specific tools to use too. 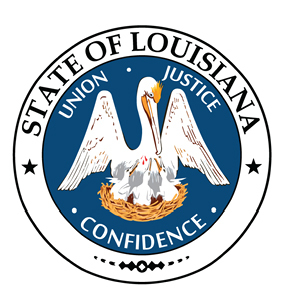 Louisiana lawyer N. Stephan Kinsella wrote an article for the Louisiana Law Review in 1994 called “A Civil Law to Common Law Dictionary” that’s readily available online.4 It covers many of the most puzzling terms that appear in legal documents we encounter in Louisiana research. So yes it’s harder to understand for those of us from the common-law states. But there is help — and it’s worth the effort. If you research families in Winn and Jackson Parishes, with their multiple courthouse fires, long enough you will need a curator. I had to learn a new vocabulary when I crossed the Mississippi at Vicksburg to research my ancestors in East Carroll Parish!